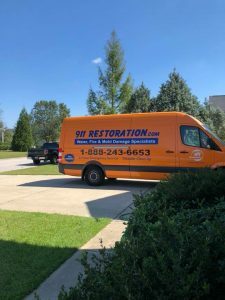 You can get the water damage restoration services you need to recover from a flood, pipe burst, or sewage backup by contacting 911 Restoration of Dallas. Our IICRC certified water damage restoration technicians can reach properties in Cedar Hill within 45 minutes of an emergency call and we are ready to go 24/7/365. You can count on us to handle mold removal if your mold inspection in Cedar Hill reveals a problem. Mold remediation can stop the spread of mold and mold decontamination can remove dangerous spores and foul odors. Let us begin returning your property to perfect condition right now with flood cleanup and mold remediation. Can You Get Same Day Water Damage Restoration Services in Cedar Hill? A sewage spill, flood, or pipe burst in Cedar Hill can begin causing damage right away. The longer excess water remains in your property, the more damage you can face. That’s why it’s important to begin water damage restoration in Cedar Hill as quickly as possible. The licensed, bonded, and incurred flood cleanup technicians at 911 Restoration of Dallas can begin working on your property right away. We understand what it takes to handle residential and commercial flood cleanup and mold removal in Cedar Hill. Mold remediation is often an important part of water damage restoration in Cedar Hill. Mold may grow due to the excess moisture brought into your property by a pipe burst or flood. Mold decontamination in Cedar Hill can erase this issue so you can get back your peace of mind. Do You Need Mold Remediation in Cedar Hill? Water damage – including the damage caused by a flood or a pipe burst – can introduce excess water into your home or business. This moisture can provide mold with the perfect environment to grow. Mold remediation in Cedar Hill can arrest the spread of mold. The mold removal technicians at 911 Restoration of Dallas are trained to handle commercial and residential mold infestations as part of the flood cleanup process. Let us assess your unique needs with a free visual mold inspection for property owners only. Our crews can focus on mold decontamination in Cedar Hills to remove odors and dangerous mold spores that can impact your health. Technicians can also focus on removing water from your property, repairing carpet water damage, fixing leaking pipes, and handling flooding in your basement or crawlspace. You can get a Fresh Start after any water damage emergency by contacting the professionals at 911 Restoration of Dallas today. 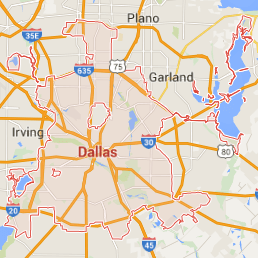 Let us handle water damage cleanup, mold decontamination, and mold removal in Cedar Hill.